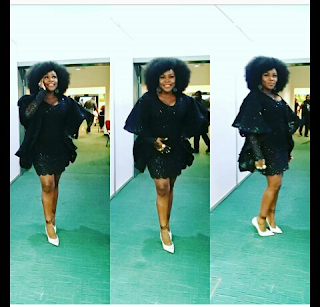 CHECHESMITHNATION : Omawumi Came To Slay At The 2016 Glo Caf Awards!! Omawumi Came To Slay At The 2016 Glo Caf Awards!! The music sensation and mother of two Omawunmi, stepped out last night glowing through at the 2016 Glo Caf Awards in this pretty orange number. Her look is from designer Dyznbabe's winged dress collection. 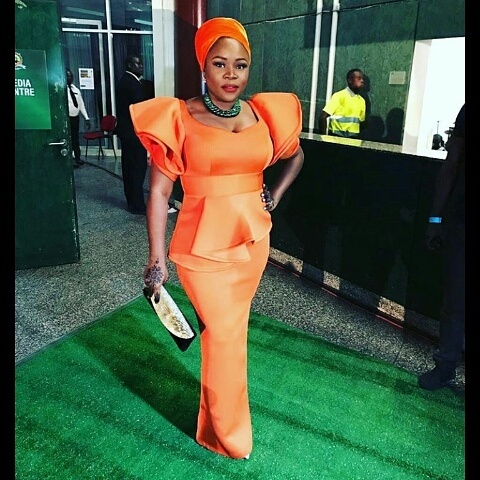 We are so much in love with her second look for the night...She rocked this butterfly Agbada number from dress maker Ejiro Amos Tafiri's collection. She was styled by Celebrity stylist Swanky Jerry.